Is the ad-based business model destroying the Internet and, moreover, is it destroying our society? As someone who has been a long time advocate of free ICTs like email, social networking, Google Docs, and all other things free, I didn’t arrive at this focal point willingly or with any preconceptions. Like many of you reading this post, I had simply grown accustomed to ignoring the targeted ads that followed me around online, and in fact viewed it as a fair exchange for the technologies being offered. But as technologies have continued to advance, their downsides are also becoming bigger and more visible. Earlier this week, I was a panellist at the Digital Frontiers event in London, hosted by DAI Europe. The event focused on digital inclusion, and how we can integrate vulnerable and marginalised populations into the global digital ecosystem and provide them with the information and service, and opportunities that access to digital technology can bring. Returning to a favorite (re: only) theme of mine, education, I was struck recently by the uptick in the number of foreign universities setting up branch campuses in Kenya, Rwanda, Tanzania, and presumably throughout the continent, ideally bolstering domestic capacity for graduates who can push forward development agendas requiring greater and greater access to skilled labor. The schools and university sectors are just strands of a larger neoliberal loosening of public control over what was once the exclusive purview of the public sector, but no need to get too big picture for the time being. One of the hardest things to get right when it comes to M4Dev, is content. This is especially true when working on complex and sensitive topics such as gender based violence, where even mentioning the subject can be considered taboo. In my previous blog post, I wrote about smallholder farmers and how they are more likely to experience financial exclusion because of heightened operational and risk assessment challenges. Today, I want to focus on another group of people that is disproportionately underserved by financial institutions: Women. Today is the International Day of the Girl and a really important day in the Panoply Digital calendar. 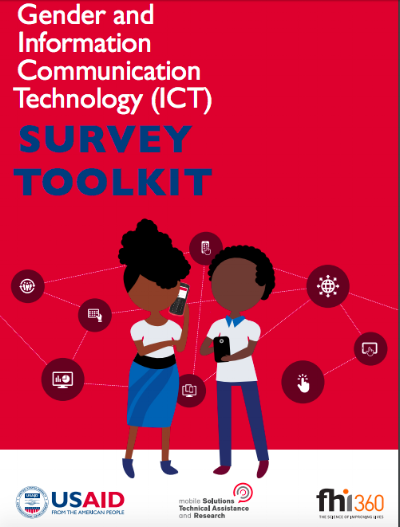 Firstly, because it’s a day that highlights the challenges and opportunities that girls around the world face - something that we care about passionately, particularly in ICT - but secondly, because we’re excited to be able to announce our new publication around gender and ICT on such an important day: the Gender and ICT Survey Toolkit. How can startups in sub-Saharan Africa reap their potential in challenging environments? The October 2017 London ICT4D Meetup had some answers, which we'll summarize in four key points for this post. We also share the presentations given that night. I always get very excited about anything new around gender and ICT: new publications, new data sets, new projects, new funds or awards, and there have been a number of new gender and ICT publications that have come out recently. 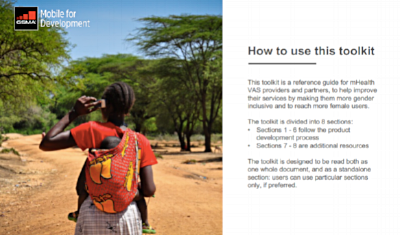 One of those is something I’ve been working on and was recently published by GSMA mNutrition: a toolkit and accompanying webinar on how to make an mHealth service more inclusive and reach more women. Returning to the subject of education and gender, this post is a bit more about using the data available to you to make informed decisions when running ICT4D projects. For some, these will be painfully apparent; for others, perhaps a little less so, so I am essentially writing this post for the latter group. Experts and data-savvy types, avert your eyes.It is probably best to frame this around a particular question or conjecture, so I am going to assume that one of the potential pathways for greater employability for women in some countries and in particular greater employability in "innovative" fields is research. On Tuesday 25 July, we hosted Ms Divya Joseph for a London ICT4D Meetup. Now, here's her presentation from the evening for those who were unable to make it. Please enjoy and definitely tweet at Divya if you enjoyed her insights! There was a time, early in my career, where I exhibited Tom Cruise levels of enthusiasm for the use of mobile websites in development projects. Sitting in meetings trying to convince clients that they could use a mobile site to deliver vital information and support to thousands of people at a time would trigger sofa-bouncing displays as I tried to convince them that it was possible. And it worked - funders took the plunge, access to the mobile web has continued to grow, and I went on to lead the design and launch of over 20 mobile sites aimed at connecting audiences across Africa for fantastic projects ranging from sexual and reproductive health and rights (SRHR), to gender equality, to advocacy. As time went by, however, I started doing less sofa bouncing and more soul searching. Showing off a website I’d designed to some friends, I once dissolved into tears because I knew that the site itself had very little chance of making a real impact in an area I cared deeply about. Not because it wasn’t well designed, but because of a number of fail-factors which I had by then become savvy to. In the wake of the Kenya Supreme Court ruling to nullify last month’s presidential elections due to suspected vote manipulation, observers have new grounds for revisiting ways to ensure transparency at each step in the voting process. Summer's almost sang its last song, but for a startup there's no rest for the weary! That's why on Tuesday 26 September from 6:30pm, I'm hosting, along with my co-organizer Dama, an exciting line up of speakers who are working in or with startups in sub-Saharan Africa. We'll have private and public sector perspectives, along with a female co-founder of a fast-moving startup in Ethiopia. Spread the word and click here to register! According to the latest estimates by the World Bank, two billion people still lack access to basic financial services. The main barriers of lending to the unbanked have always been high costs of outreach anddelivery, and lack of traditional data for risk assessment. These barriers exacerbate when dealing with smallholder farmers (SHFs), making them the most likely to be underserved. In fact, despite agriculture remains the main economic activity and employs the majority of the people in most low income countries, only a smaller share of financial institutions portfolio is invested in it, leaving a $ 200 billion in unmet financing, as estimated by the Initiative for Smallholder Finance. The Government of Indonesia have committed to adopt SDGs while at the same time want more control over internet. 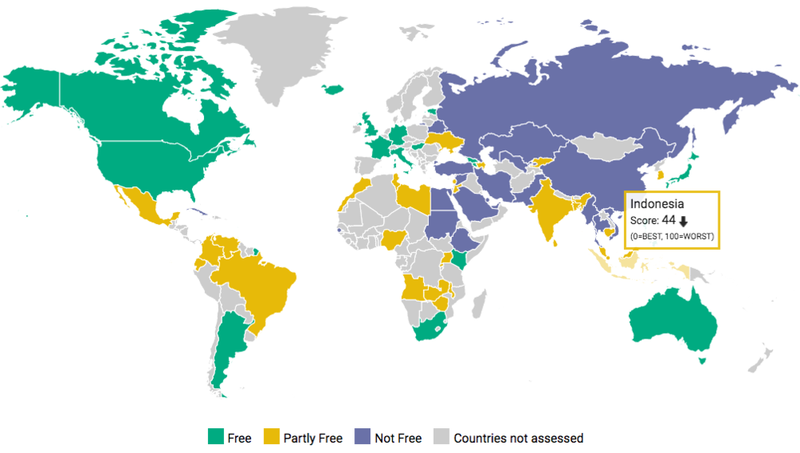 Can they achieve these ambitious goals and targets without giving more freedom for citizens online? A new issue of me and Alex's Gender and Mobiles Newsletter is out, and we are delighted to help spread the word about the eSkills4Girls.org online platform! Launched to help close the digital gender gap, this initiative is a flagship activity of Germany's 2017 G20 presidency. This week, I've been in Amman, working with CIPE and their Jordanian partners, delivering a workshop on social media and technology for advocacy. I have been spending some time with two reports recently that have me thinking a bit about the outcomes we in the ICT4D and digital education fields are looking for in our work. Both challenge some of my perhaps idealistic beliefs that the technology could enable positive impact (which in some cases it has) in resource deprived environments. I can point to enough evidence there to suggest that is the case, but it isn't evidence that scales very well. A success story here or there tied to a regional context. Some data to suggest increased literacy levels or greater access to health care. Overall, a tick upwards towards meeting SDGs, a small triumph in and of itself. In this blog post, Panoply Digital Associate Eko Prasetyo discusses open data and eGovernment systems, with a perspective from Jakarta city's recent open data work. "eGovernment systems are information systems handling data to deliver information for decision making and transactions. Workstreams in Open (Government) Data, either data publication on portals or a more specific use case like an e-contracting system fit in this category too. We’ve been tracking the intersection of gender and mobiles for eight years now. As part of Women’s History Month celebrations, in this post we spotlight some of the up and coming history makers! I am typing this out from Jomo Kenyatta Airport in Nairobi reflecting on the past week spent with the good people of UN Habitat, specifically those associated with the CityRAP tool. The CityRAP tool trains city managers and municipal technicians in small to intermediate sized cities in sub-Saharan Africa (SSA) to understand and plan actions aimed at reducing risk and building resilience through the elaboration of a City Resilience Action Plan. A few caveats at the onset here. This reads a bit more like an academic piece which it largely is. It is drawn from something larger I wrote a bit ago for another paper. It might also read like an attack on the SDGs, which is not my point. The point here is that the SDGs have generated some incredible results and I sincerely support them, but we must be mindful of what is being mobilised in our pursuit of them. My focus is education and I suggest that the provisions of the SDGs related specifically to that field suggest particular scaled interventions (or at least make those approaches particularly attractive). Scale exacts pressure on particular types of education. As part of my association with the Centre for Research in Digital Education at the University of Edinburgh (a version of this post appears there as well), I recently traveled with colleagues to deliver a three day workshop on digital education for Syrian academics who have been displaced by the conflict. 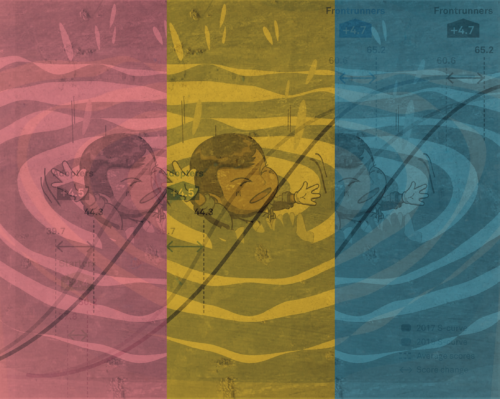 The University has worked for a long time with the Council for At-Risk Academics (CARA), a great organisation providing urgently-needed help to academics in immediate danger, those forced into exile, and many who choose to work on in their home countries despite serious risks. We seem to have endless ideas on how to use Information and Communication Technologies for Development (ICT4D). From job creation to women’s empowerment to civic participation, a number of ICT4D interventions have been developed and implemented over the years. Common question asked in my work is “what type of technology that might have biggest impact in our society in the coming years?”. As we have learned, ICTs in itself aren’t sufficient. While factors contributing to the success of ICT4D have become apparent, and many have written about them, I feel there's still a need to highlight some of them. How Relevant was Bridge International Academies' EdTech Intervention in Liberia? We have been some of the most vocal critics of Bridge International Academies (BIA), largely because most investigations and evaluations of their edtech impact to improve schooling in sub-Saharan Africa have been less than spectacular (many would say the impact is non-existent). So imagine our surprise to see Wayan Vota's latest ICTworks™ post highlighting the successes of BIA in Liberia. We need to make women in innovation more visible, and correct the gender imbalance in the stories we tell. We need to tell more stories about the women working at the top of humanitarian innovation, and so today I sat down with Tanya Accone, Senior Advisor at UNICEF Innovation, to tell the story of a woman working at the top of a very visible humanitarian innovation team for a very visible humanitarian agency. We do a lot of work on open learning as well and it was clear there was tension between these open educational platforms (like Coursera, edX, etc.) and their use in local contexts, particularly in emerging economies. There is tension there. Open educational technologies are too often framed as a transparent instrument for educational export, keeping (specifically Western or Global North) curricula, pedagogy, and educational values intact whilst they are broadcast to a global population in deficit. I remember when I first started hearing the buzz about bots. My first thought? 'Here we go again...' - a reaction to the endless cycles of hype followed by business-as-usual that typifies the digital sector. However, over the past few months I've had the opportunity to design a few 'bots 4 good', and I'd like to share what I've learned: how they work, what they could be useful for, and where to start if you'd like to get one. I believe that done well, they could be really useful add-ons to your digital strategy as they provide a rich 'in-between' space for mobile users who aren't fully digitally literate. How can we ensure that the citizens, government and civil society work together? Last week, I was at TICTeC 2018 where researchers, activists and practitioners discussed the impact of civic technology, or civic tech. This blogpost summarises the discussion of Two heads are better than one: working with governments. © 2018 Panoply Digital Ltd. Incorporated at Companies House as Company Number 938241.